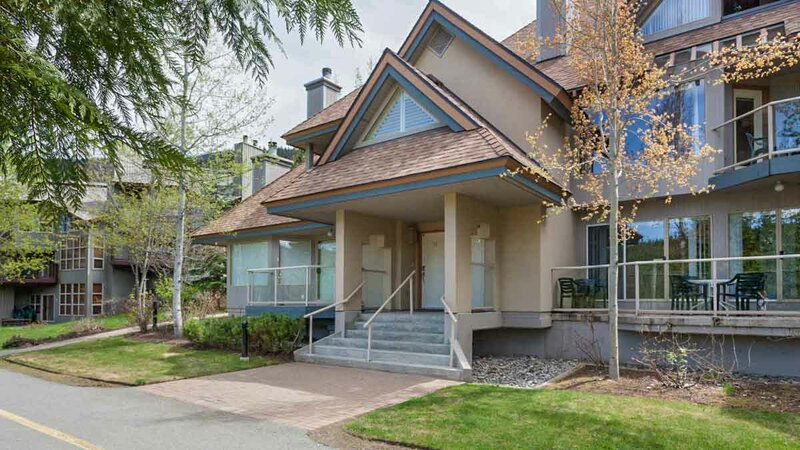 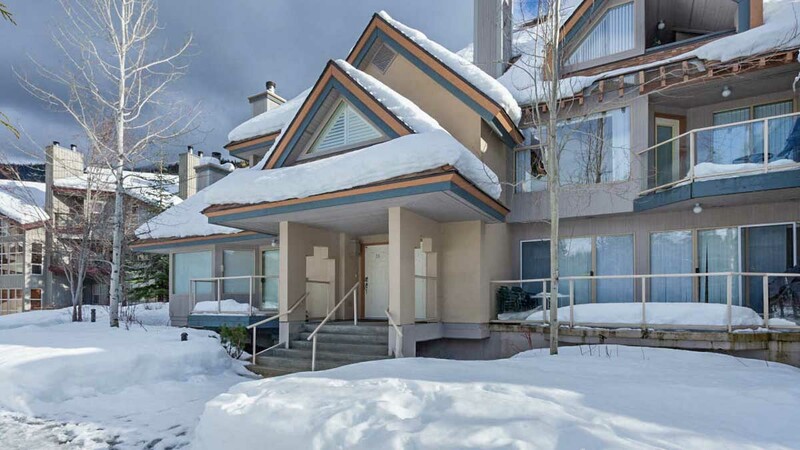 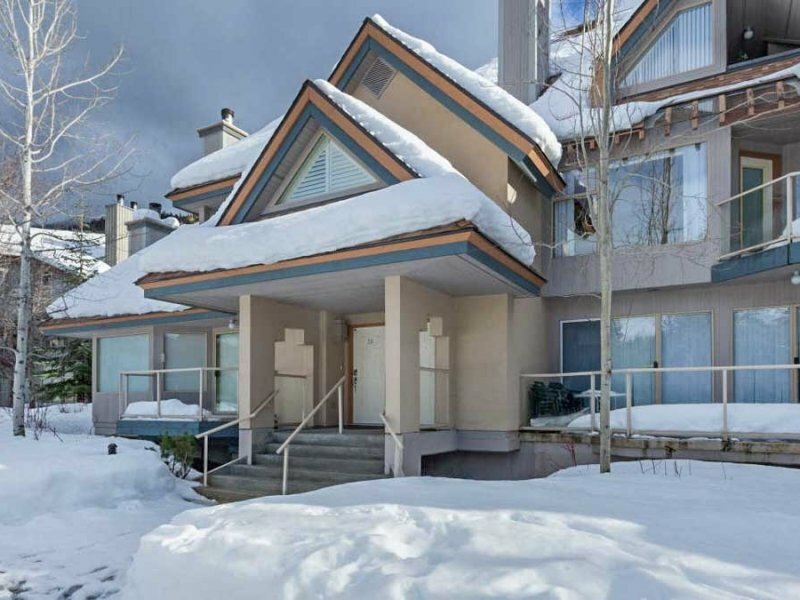 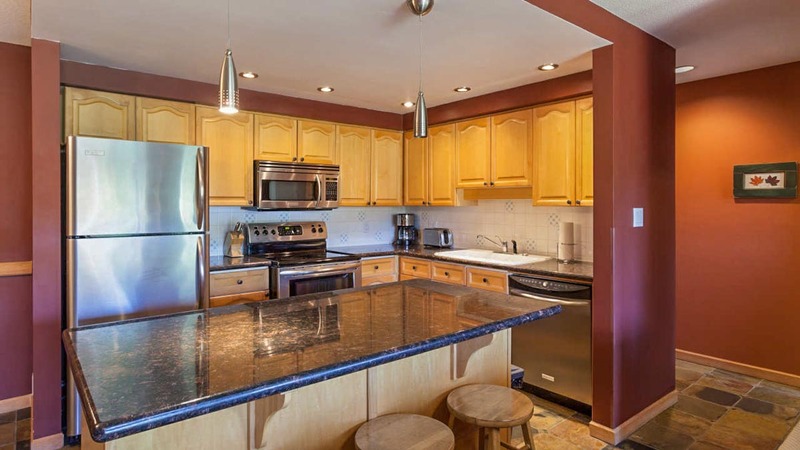 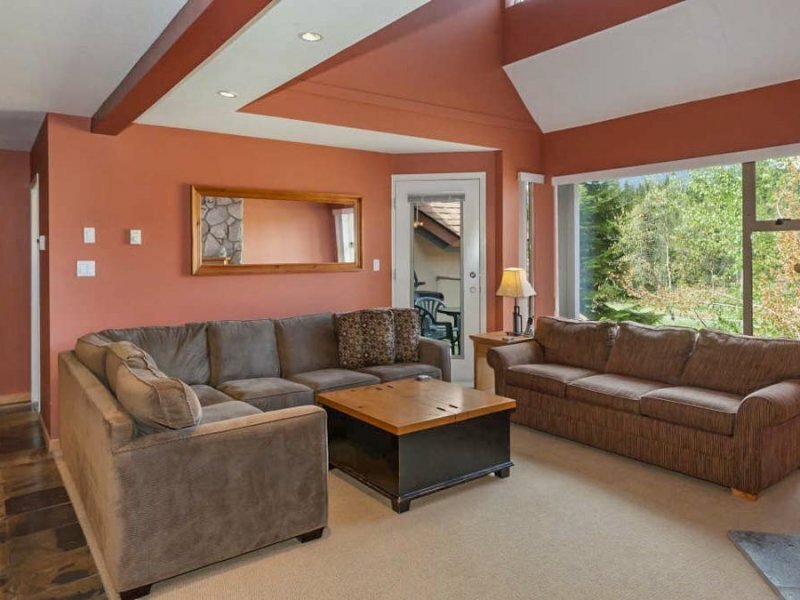 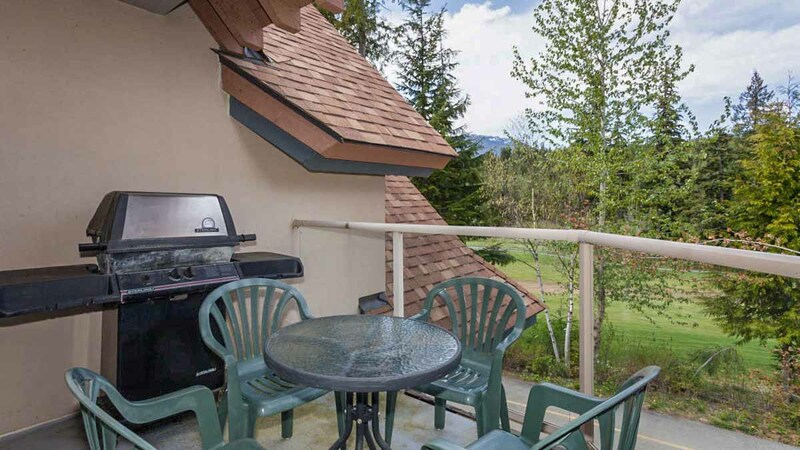 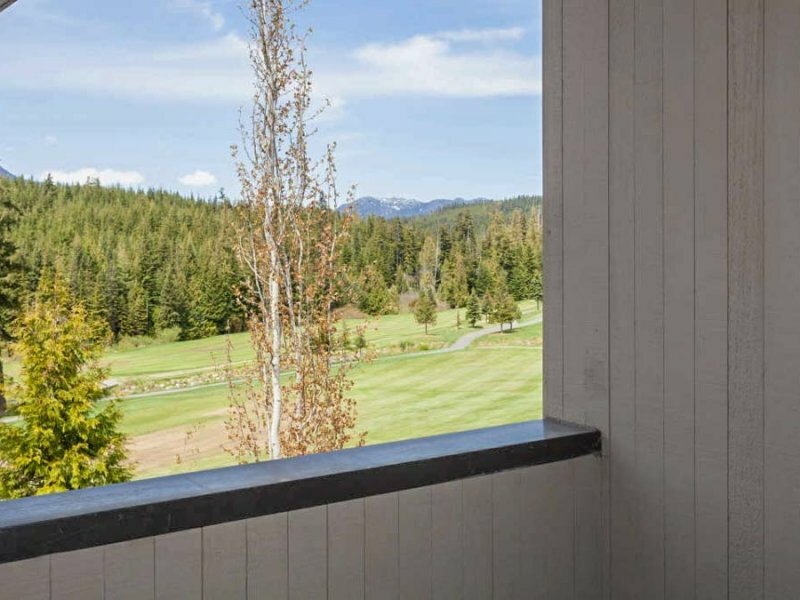 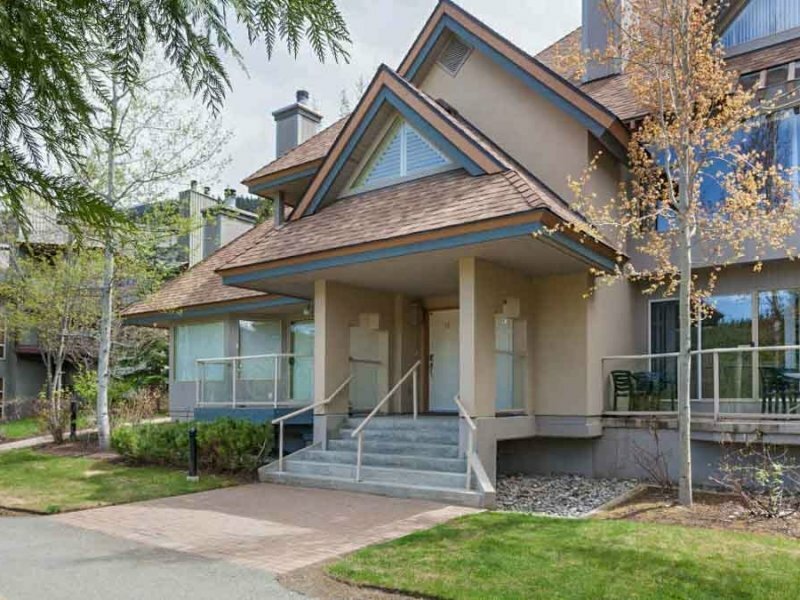 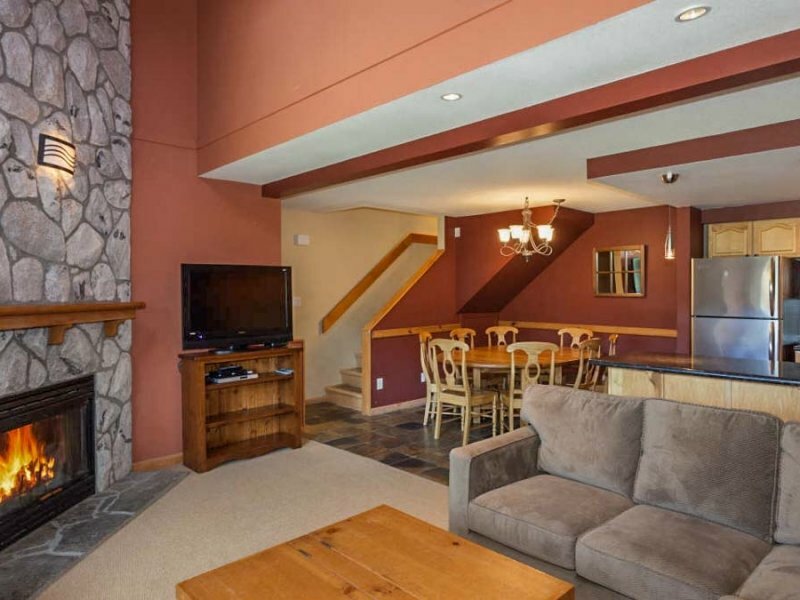 Glen Eagles 14 is a spacious 3 level, 4 bedroom, 3 bathroom townhome located on the Valley Trail overlooking the Fairmont Chateau Whistler Golf Course and just 700 metres from the base of Blackcomb Mountain and conveniently located on the free Village shuttle route. 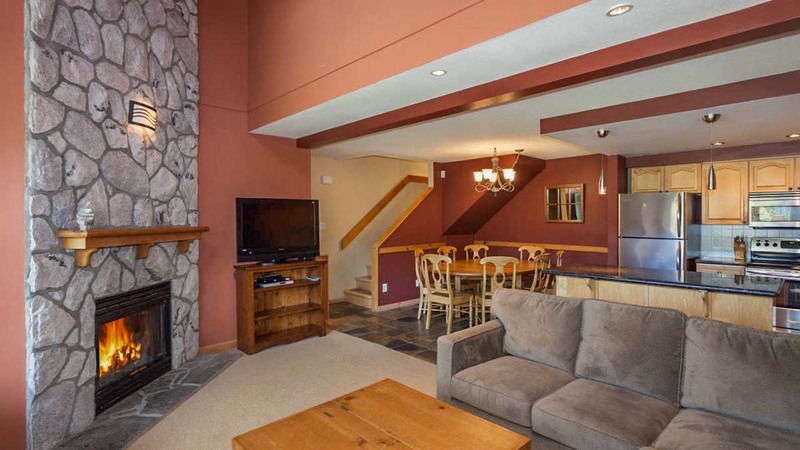 Entering on the lower level, the spacious entrance area features a bench and closet area for all your equipment storage needs. 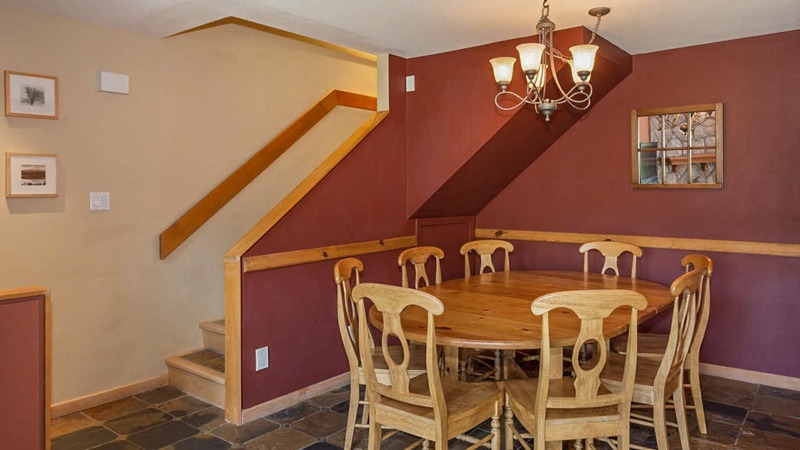 Up the stairs is the main open concept living level. 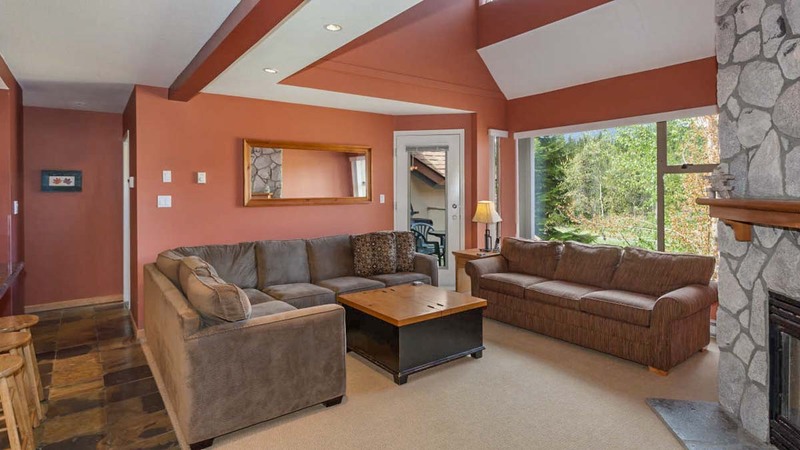 The living room features a vaulted ceiling, presto log fireplace, large flat screen TV, DVD player and scenic views of the golf course. 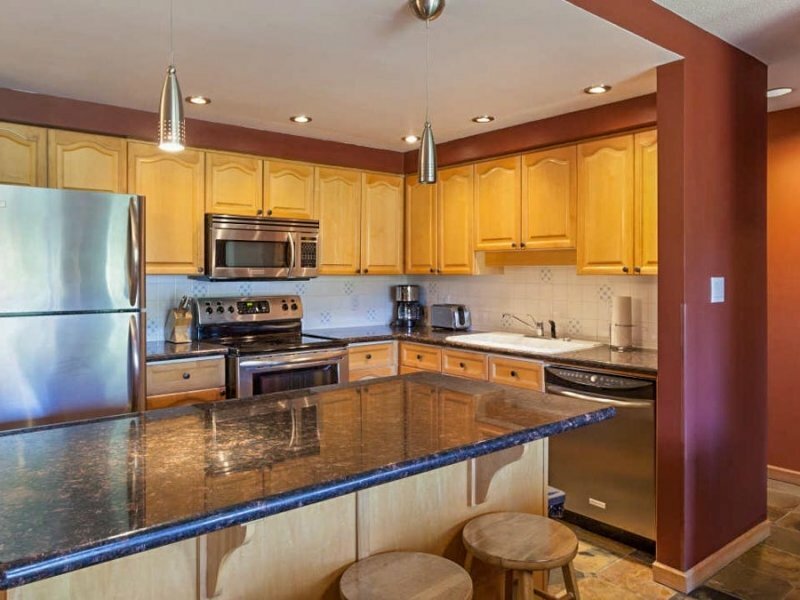 The modern kitchen features stainless steel appliances and a breakfast bar that overlooks the living room. 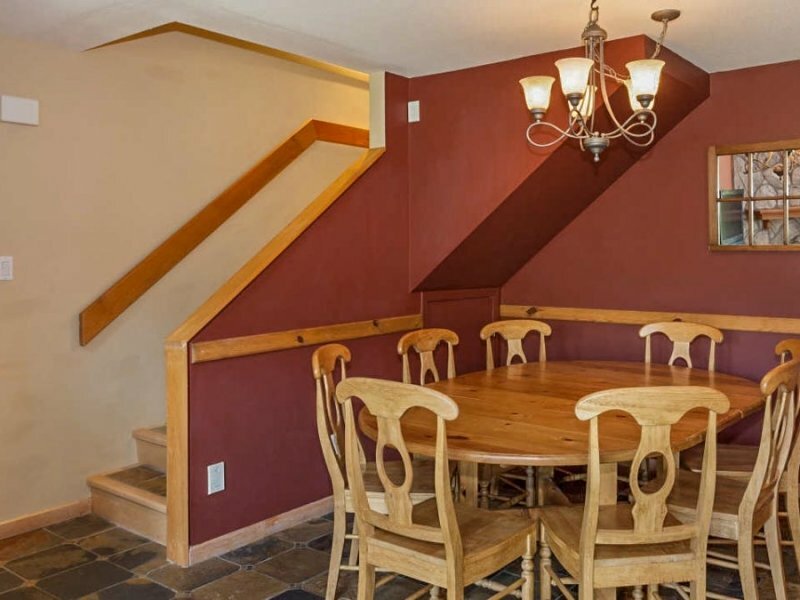 The adjacent dining area seats 8 comfortably. 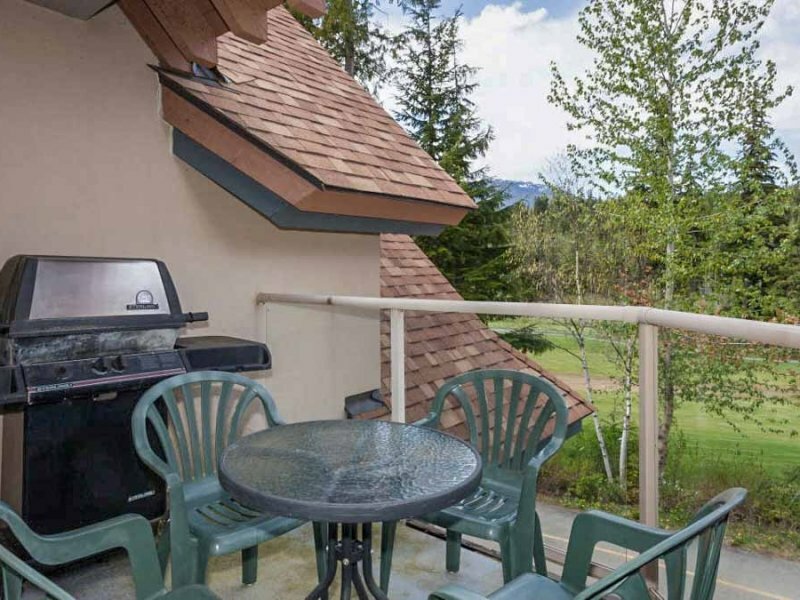 The deck off the living room features a BBQ and a small sitting area with scenic views of the golf course. 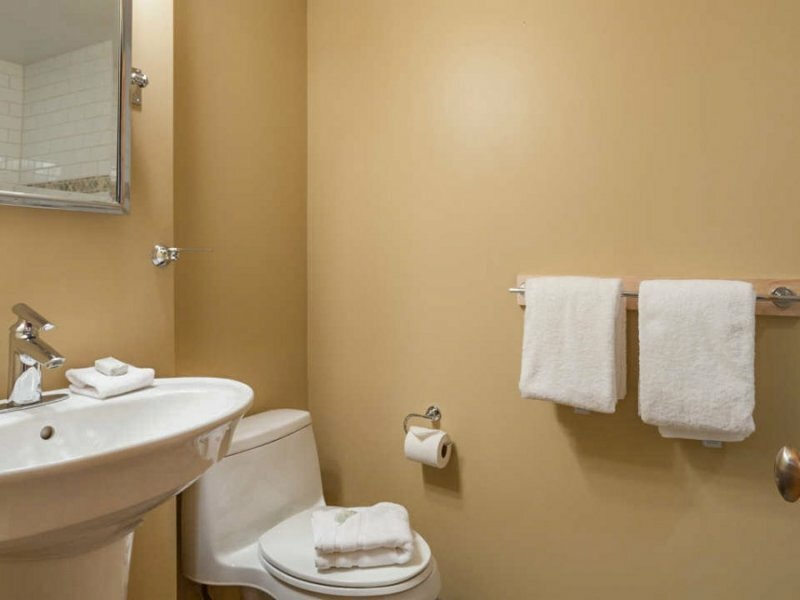 For added convenience, Glen Eagles 14 features in-suite laundry, complimentary wireless internet, and secure parking for 1 vehicle in the underground parking. 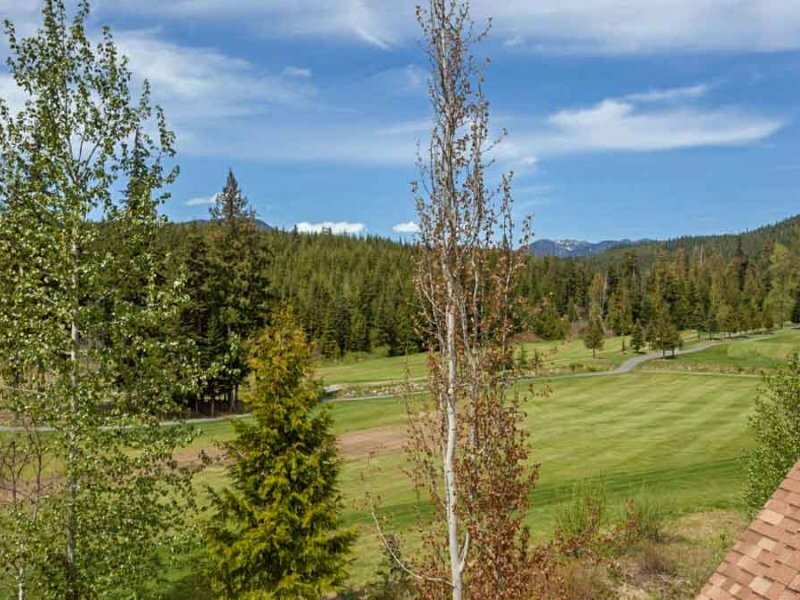 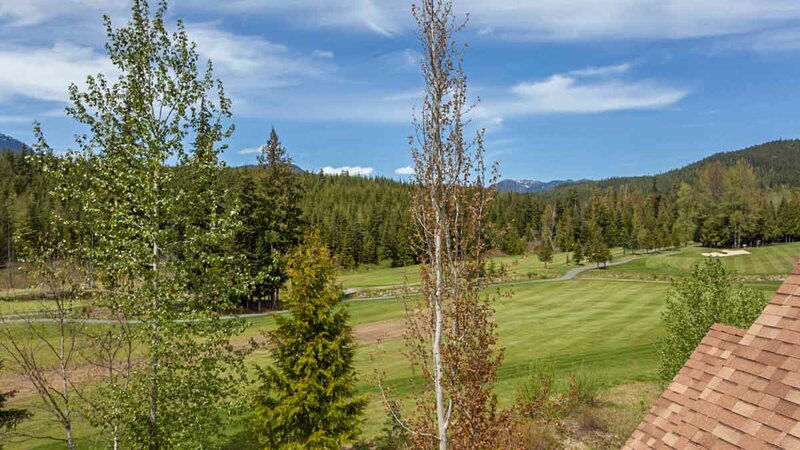 Glen Eagles 14 is ideally located on the Chateau Whistler Golf Course as well as on the free shuttle route to the base of Blackcomb Mountain and Whistler Village. 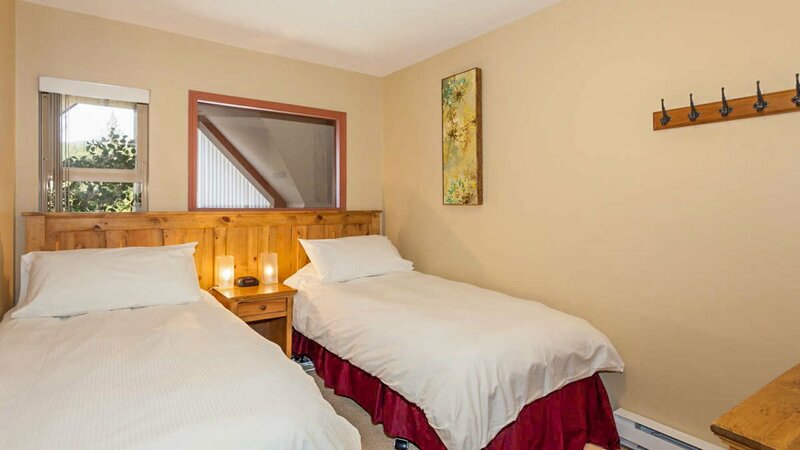 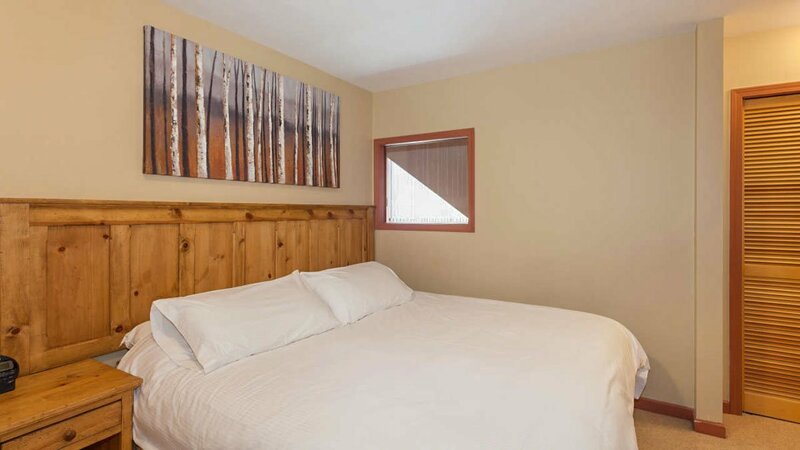 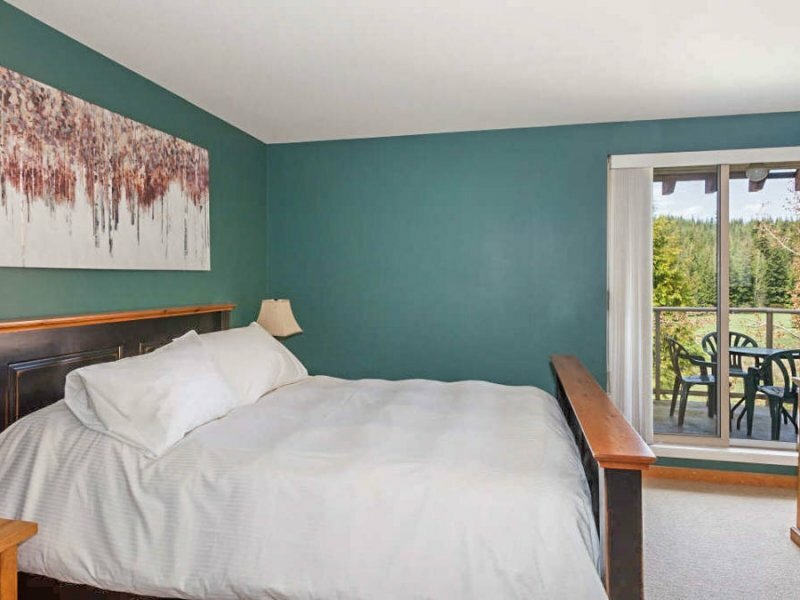 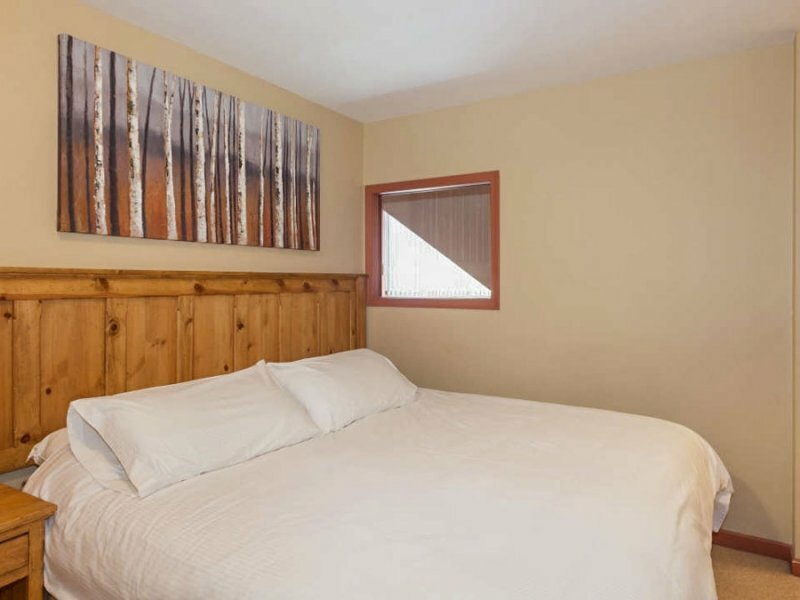 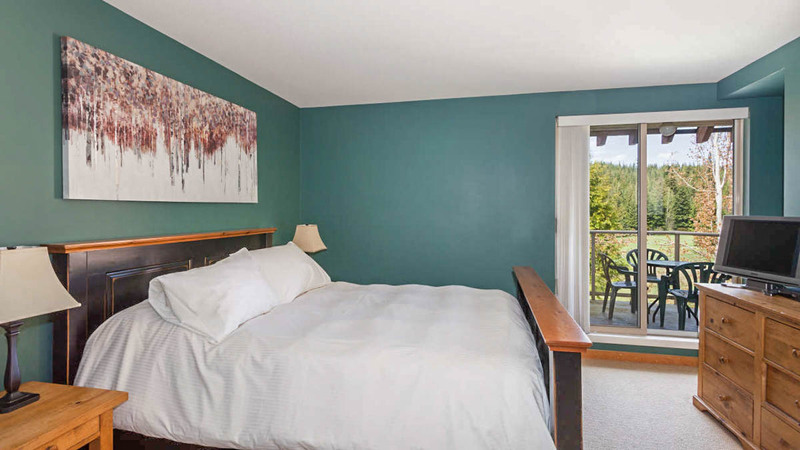 Located on the main level and features a Queen bed, deck access and a small flat screen TV. 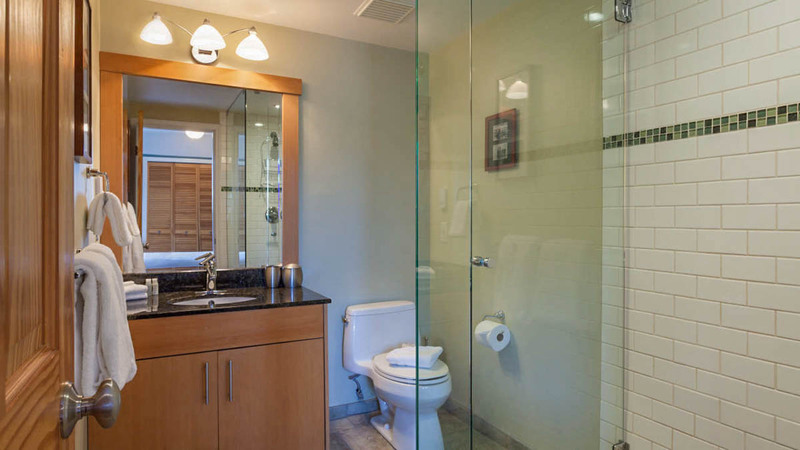 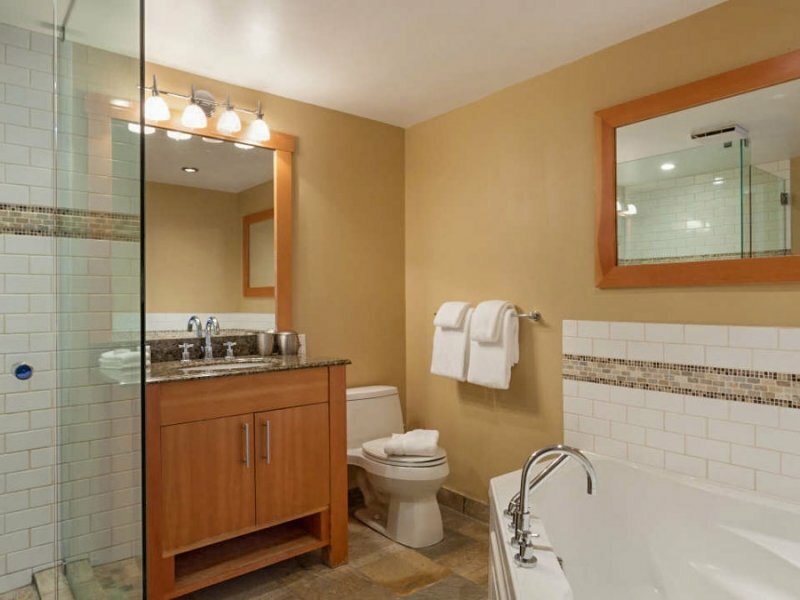 The ensuite bathroom features a large jetted bathtub and a separate glass-enclosed shower and single vanity. 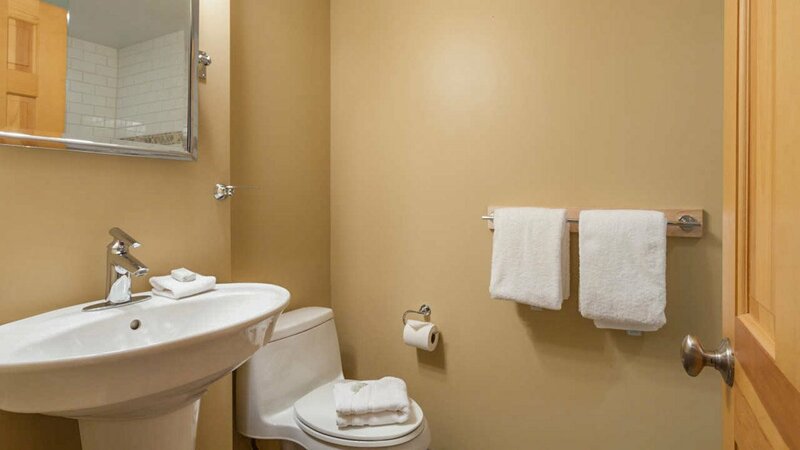 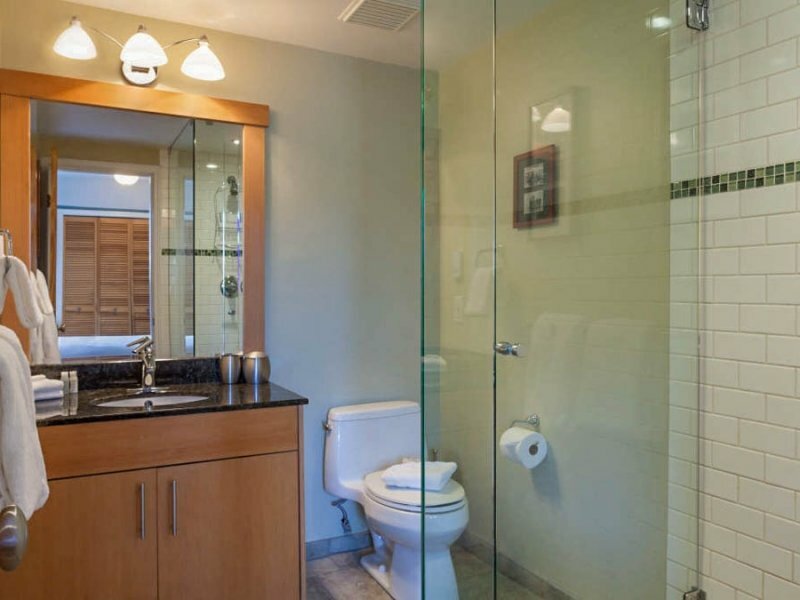 For added convenience, this bathroom can also be accessed from the hallway. 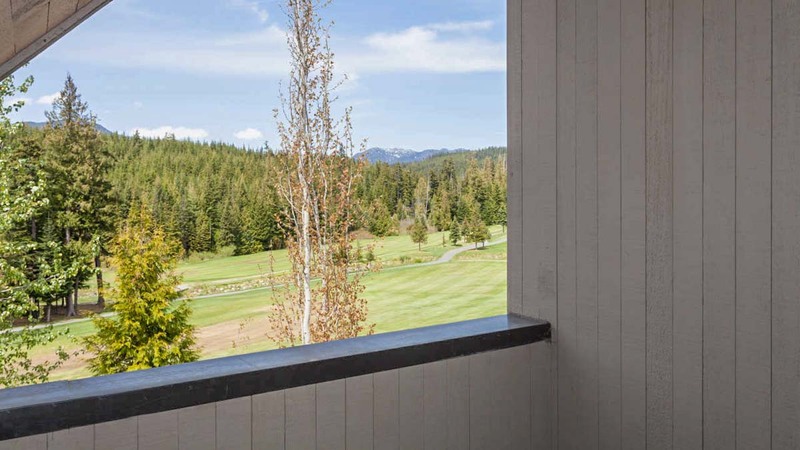 Upstairs the second bedroom features a queen bed, a small private balcony overlooking the golf course and an ensuite with a glass-enclosed shower and single vanity. 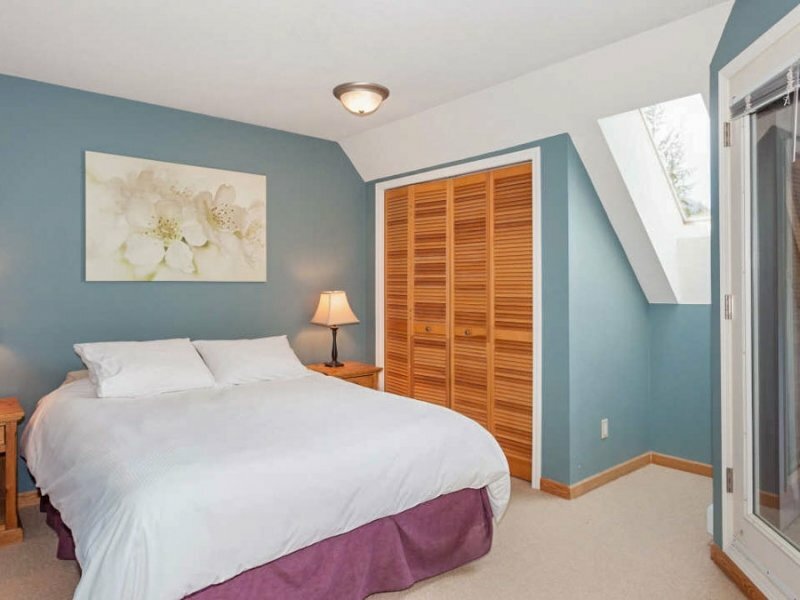 The third bedroom features a king split bed. 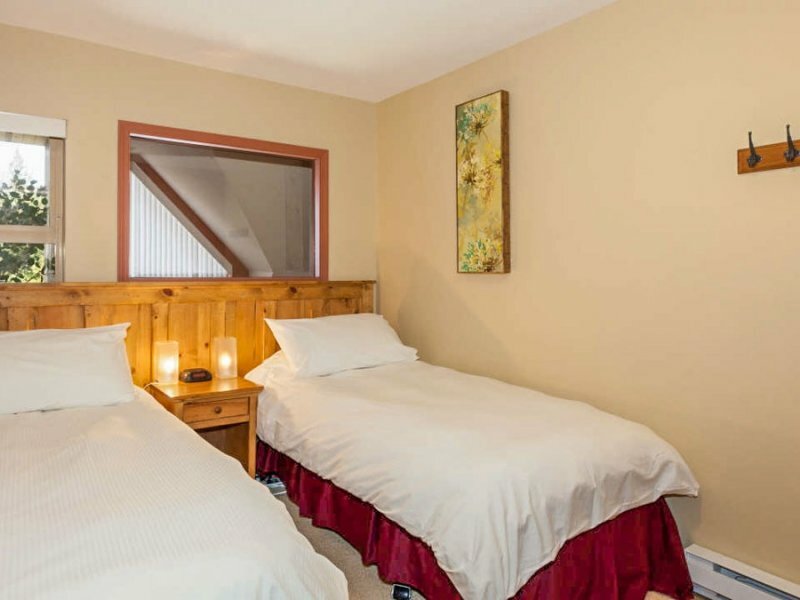 The fourth bedroom features two twin beds. 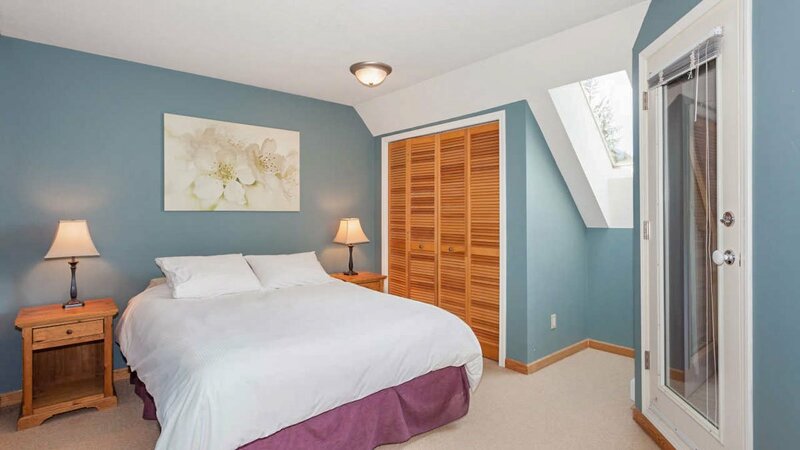 Both of these bedrooms feature windows that look down on the living room but also allow for golf course views and plenty of natural light from the floor to ceiling windows of the living room. 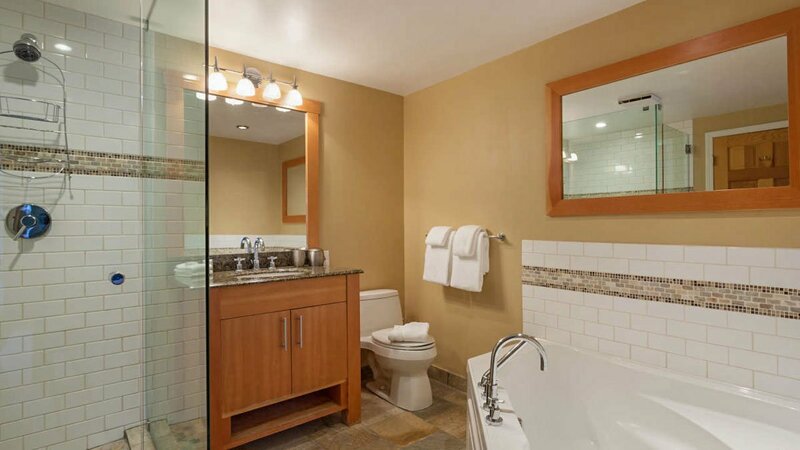 The separate bathroom located on the upper level features a glass-enclosed shower and single vanity.